← Rally Sardinia – Loeb leads, Latvala Falls. 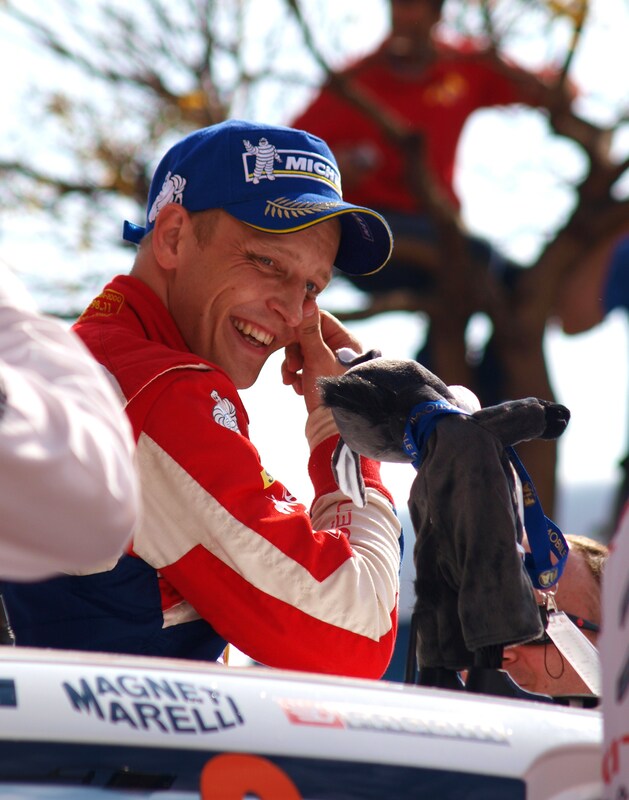 Anytime that there is a rare occasion that the Greatest Rally Driver of all time, crashes out while fighting to keep the lead on the first day, always opens the rally up to an exciting and unpredictable result. No one could have guessed, that the three podium places on Sunday afternoon would be reserved for Rally winner Mikko Hirvonen, 2nd placed Evgeny Novikov and 3rd placed Ott Tanak. So how did the Rally d’Italia come to end with this result. The first two stages of the Rally were held on Thursday evening, where after going fastest in Qualifying, Fords Jari Matti Latvala picked up a puncture and dropped him down the order to 6th. Loeb was in control at the top going into Friday mornings stages. On the first stage of Friday morning, and just 5km’s into the stage Loeb went off, damaged the car and had to retire. Its said that the off was due to a mistake in the pace notes, making Rally Italy one of the very few events where Loeb has retried from twice. 2nd placed Hirvonen was battling for the lead, the fin just 1.5 behind loeb before his off. This promoted Hirvonen to the top spot and that was where the Fin stayed. Other dramas on Friday came from Thierry Neuville who rolled his DS3 and was stuck in the middle of the stage. The young gun burnt his hands trying to push the car back onto its wheels, he retired shortly after. It was only on the following stage that Ford then hit trouble, in the shape of Latvala. The Fin who already made a mistake earlier on in the stage then hit a gate post and beached the car on a small wall and damaged the radiator and had to retire from the action. With 3 of the top boys out, The WRC cars then suffered other problems. Due to the majority of the WRC crews going for soft tyres and the abrasive rocky surface meant, by the end of the stage before service the tyres were bold. This however was a chance for Ex Citroen WRC Driver Sebastien Ogier to show off his talents. This year the Frenchman competing in a S2000 car as part of VW, he took his Skoda Fabia S2000 and went fastest on SS5, beating the likes of Hirvonen and Solberg in there. After service on SS7 Solberg hit trouble. He was chasing down Hirvonen when he took the front corner off after hitting a rock and damaged the suspension, They also had to retire.This left Mikko Hirvonen with a huge gap in front and Privatee M-sport Ford Fiesta driver Evgeny Novikov in 2nd and M-sport driver Ott Tanak in 3rd. On Day 2 The boys in the top 3 had good gaps so it was all about staying out of trouble for them. Further down another M-sport driver Mads Ostberg was trying to make up for his problems yesterday having only 2 wheel drive and sitting down in 7th. The Norwegian know as Mad Mads was flying. Saying after setting the fastest stage time on the first stage of the morning, that he was aiming to get 4th by the end of the day. Despite the M-sport ran Ford world rally team being out of contention after both ford drivers retired, it was still a great day for the M-sport Team. The following stage it was Novikov that took the stage, then after that Ostberg set another fastest time. The young privateer M-sport customer crews really showing off their talents. After setting another fastest time in the afternoon Mads Ostberg had in fact achieved his aim and made it to 4th place by the end of the day. The final day of the Rally was all about cruising home for the Citroen man at the front. Mikko Hirvonen near put a wheel wrong all weekend. And after the final 2 stages, the Finn took his first win for Citroen. After battling with Loeb at the beginning, to being the only top WRC works driver still standing, he made it to the finish with a lead of over a minute. Fords Works drivers tried to make up a little on there problems. With Petter Solberg going fastest on the final power stage and Latvala 2nd fastest under the ‘Rally2’ regulations. But overall, despite Fords troubles, it was a great weekend for M-sports customer teams. Equalling his career best result, Evgeny Novikov finished rally d’Italia in 2nd place. And taking an emotional Career best 3rd place was M-sports Young junior driver Ott Tanak, He has struggled on past few events but certainly proved his skills and talent this weekend. Despite his problems friday, Mads Ostberg drove like a man on a mission to reach his target of finishing the rally in 4th place. A possible record, certainly a record set in terms of Stage times, was Sebastien Ogier, 5th overall in his Skoda Fabia S2000 car, possibly the best result for a S2000 class car in the WRC. After struggling with the car, Chris Atkinson managed to bring his Mini home in 6th. Mikkelsen also in an S2000 car finished 7th, his best WRC result. Prokop in 8th and after crashing out on Friday, Petter Solberg managed to end the rally in 9th. This entry was posted in WRC and tagged Citroen, ford, Hirvonen, Italy, Loeb. Bookmark the permalink. Allover is Rally, we are Hirvonen.